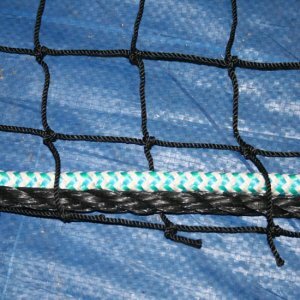 Lead Core rope can be added to any existing net or cage to give additional dead-ball effect or prevent wind drift and ball deflection. (weight: 3.12 lbs per 20′) Priced per linear foot. Lead Core Rope can be added to any existing net or batting cage to give additional dead-ball effect or prevent wind drift and ball deflection.